Stick it Down: August reader features! We have had so many amazing entries for the card and the single page sketches this month! We'd love to see more participation from our double page fans out there! Here are a few single page reader features! Ladies, feel free to use this badge on your blog and as always, thanks for joining us! 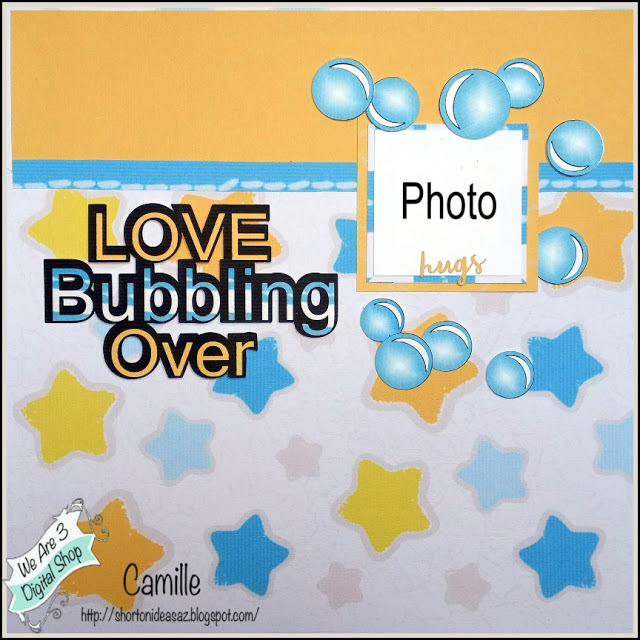 Both are great but I really love the bubbles, it just makes you smile. Awesome! I love this layout of my Gracie girl too!